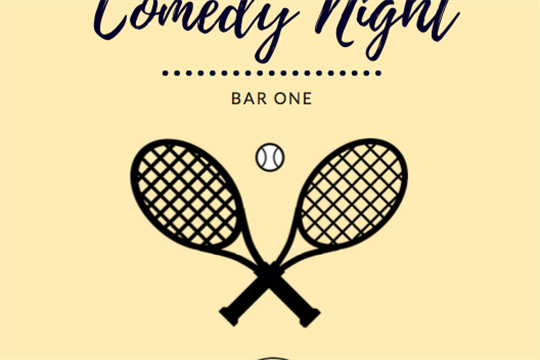 Abertay tennis will be hosting it's annual comedy night on Friday 29th September (8pm) and the line up is looking every bit as good as last years AND THEN SOME! Returning to host will be Rob kane, one of Scotlands most popular acts on the comedy circuit. Rob has performed and hosted events across venues such as the Edinburgh Fringe, the stand comedy club and many more so you know the team he has assembled will be of the same high calibre! Last year was a very successful night with over 80 tickets sold, however this year we want to make it busier again! Tickets cost £8 and are available to purchase from any of the tennis committee members from Friday 8th September, so round up your friends, get in touch and purchase your tickets today... you'll never laugh so hard again, we promise!